There’s a hot new trend in the Episcopal Church (and for once I’m not talking about Lent Madness). 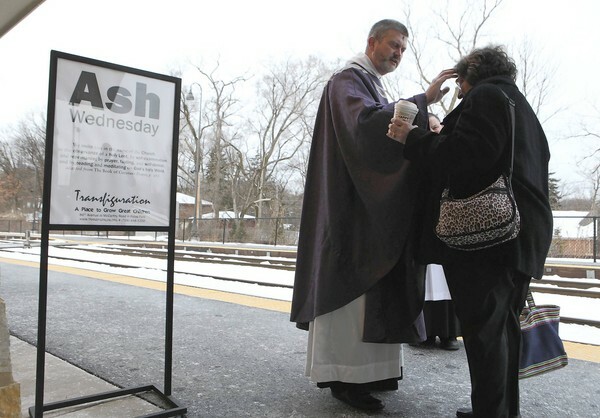 “Ashes to Go” is the clever name for bringing ashes to the masses on Ash Wednesday. The idea is for fully vested clergy to go to places like commuter rail stations or busy intersections or coffee shops or even, as has happened the past few years, Grand Central Station in New York City. I have a number of friends who have been on the forefront of this movement — the epicenter (no pun intended) was Chicago — and it’s spread all over the country. There was even an article in yesterday’s USAToday titled “Episcopal Priests offer ‘Ashes to Go. '” (Take that, Lent Madness). I applaud the entrepreneurial spirit of taking worship into the streets. If the Church is to thrive and remain relevant rather than wither on its ecclesiastical vine, such thinking is essential. 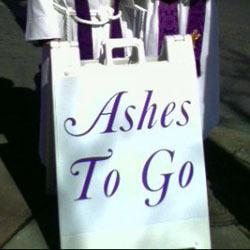 Proponents of “Ashes to Go” note that it’s not intended for church goers who “get” the whole forgiveness thing but is a form of evangelism meant to convey this message to the wider world. The reality is that true forgiveness and repentance only take place within the context of authentic confession. Drive-thru grace doesn’t do justice to the profound theological underpinnings of our faith. “Remember that you are dust and to dust you shall return” only makes sense within the context of the Resurrection. Otherwise it is a truly depressing and deadly notion. So I’ll be indoors at St. John’s today with services at 12 noon, 4:00 pm (children’s liturgy), and 7:30 pm (with choir). When it comes to Ash Wednesday, I personally prefer to dine in rather than take it to go. This isn’t to say that I’m opposed to this practice of, to quote the Doobie Brothers, “Takin’ it to the streets” — not at all. The Church should be out in the world where it belongs. But I do caution those involved in “Ashes to Go” to think before they smear. In my latest “In Good Faith” article for the Hingham Journal I write about the “poster boy” of Lenten disciplines — giving up chocolate. I give it up every year for Lent because I’m incredibly virtuous. And because I can’t stand chocolate. I always give up chocolate for Lent. I can’t claim super-human willpower or an unnaturally pious existence. The truth is I don’t like chocolate. I’m not allergic to it; it doesn’t make me break out in hives. I just don’t like it. And in the eyes of most red-blooded Americans, this makes me suspect. When I politely decline an after-dinner thin mint or a mid-day Hershey Bar, people give me strange looks. Some literally back away in horror as if they’ve encountered a leper. But this doesn’t stop me from dramatically turning down offers of fudge and chocolate chip muffins during the Church’s season of penitence. Ah, the virtue of it all! Just don’t ask me to give up Fritos. This week the Church throughout the world begins the penitential season of Lent. Christians connect with Jesus’ 40 days spent in the wilderness; a period that takes place immediately after his baptism by John in the Jordan River and just before he begins his public ministry. It is a time of self-denial and repentance; an opportunity to return to the basics of faith while taking stock of our life’s priorities. In a sense it’s the spiritual equivalent of a spring cleaning; we seek to eradicate the bad habits or apathy that has slowly crept into our lives and replace this with a healthier, God-centered approach to life. People often return to church after a hiatus or rededicate themselves to the life of the spirit. 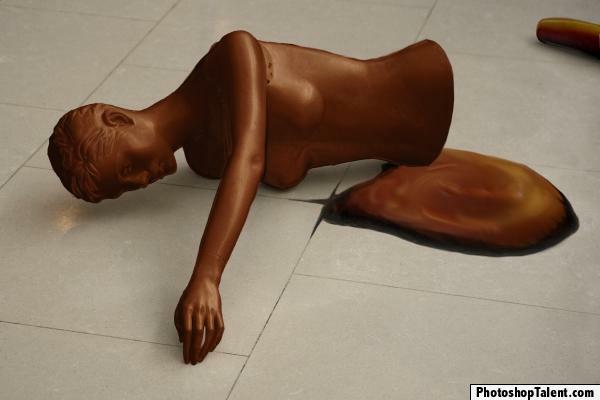 Giving up chocolate is, of course, the Lenten discipline’s equivalent of a poster child. Who hasn’t tried to give up chocolate for Lent? And who hasn’t failed? But this Lenten cliché does draw us into a deeper point about our spiritual lives. Specific Lenten practices are great. But they must be made in the context of the God of all grace. God still loves us even when we sneak a chocolate chip cookie. God still loves us even when we fall short in our Lenten disciplines and in our lives. Perhaps this divine forgiveness is the heart of the Christian faith; the reason we bother at all with entering into the season of Lent. Failing to give up our guilty pleasures shouldn’t lead to guilt. Surely that’s not the point of keeping a holy Lent. Each year, the great Lenten debate centers upon whether to give something up or take something on. The general consensus is that giving something up is “old school” while taking something on is more devotional in nature. I don’t believe these two are mutually exclusive. Why not give up red meat and dedicate yourself to saying some prayers every morning? Indeed giving up chocolate or caffeine (not a chance!) or anything else gets a bad rap. 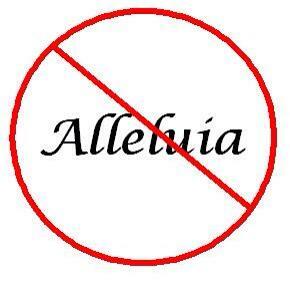 Giving up something for Lent can be a wonderful spiritual discipline. Like fasting, it is an act of self-denial. But even more than this, it can set our hearts on God. The emptiness can be a physical reminder that our needs can only be satisfied through faith in Jesus Christ. The Ash Wednesday invitation to observe a holy Lent, calls us to do so “by self-examination and repentance; by prayer, fasting and self-denial; and by reading and meditating on God’s holy Word.” In other words, a balanced blend of giving up and taking on. Another challenge exists for those seeking to keep Lenten disciplines. If “The 12 Days of Christmas” is the Church’s equivalent of “99 Bottles of Beer on the Wall,” then Lenten disciplines are the sacred versions of New Year’s resolutions. There’s nothing wrong with a New Year’s resolution of course. Nearly everyone resolves to lose weight, exercise more or amend their spending habits (how’s that going for you so far?). Unfortunately, these resolutions rarely have anything to do with our spiritual lives, the true source of a healthy, happy and fulfilling existence. If the season of Lent precipitates a new spiritual discipline and brings us closer to the heart of Jesus, then thanks be to God. As for me, I’ll be giving up chocolate again this Lent. Yes, the smell of it makes my stomach turn. And I’m fairly certain the classic dessert “Death by Chocolate” might actually kill me. So it’s not much of a cross to bear. Here’s hoping your own Lenten discipline draws you ever-deeper into relationship with the one who was tempted in the wilderness and yet did not sin. 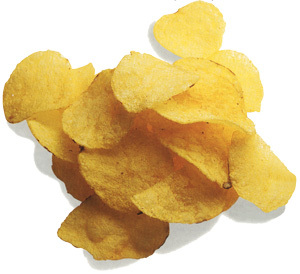 I gave up chips for Lent and it’s killing me. And, no, I’m not talking about the Erik Estrada TV show (though I inadvertently give that up every Lent, among other seasons). I’m talking about potato chips, tortilla chips, Fritos, etc. Actually I’ve lumped any type of salty snack food into the (snack) mix to up the degree of difficulty. And, as I say, it’s killing me. Especially the other night when the family went out to a Mexican restaurant for dinner and I had to stare at them eating the complimentary chips and salsa. Funny that we barely got through one basket when we normally go through two. Why chips? Because I really, really like them. I don’t have a sweet tooth but I do have a salt tooth. I don’t load up my food with salt; I just like to eat salty foods. And I figured if I was going in for the self-denial thing it had to hurt. And it does. Though Bryna claims it hurts her more than me because of my constant complaining. Let’s face it, carrots are crunchy, yes, but they’re just not good substitutes for a bag of Doritos. In Lenten giving-it-up circles there’s always that debate over whether Sundays count or not. Since every Sunday is a day of the resurrection, even during Lent, many believe in forgoing their Lenten discipline on the Lord’s Day. I agree theologically but disagree in practice. If I’m giving something up, I want to give it for the entire season. Otherwise I’m just giving something up for six days in a row and what’s the challenge in that? Plus it will make the contrast between Lent and Easter that much more striking. It’s the same reason the crosses are veiled during Lent — they seem to shine even brighter at the Easter Vigil. So when it comes to Lent, I’m a totus porkus kind of guy — whole hog or nothin’. And I’m looking forward to pigging out on Easter Day. So on Ash Wednesday a couple members of the British media thought Vice President Joe Biden’s ashes were a “bruise.” I could rail against the ever-widening disconnect between the secular media and the liturgical calendar. I could rant about the number of news outlets that claim Roman Catholics are the only ones who mark Ash Wednesday. But I’m not. Because the real controversy, in my mind, is the lousy job Biden’s priest did in administering the ashes. Any priest can make a smudge. It takes a true artiste like myself to make an acceptable cross on a parishioner’s forehead. And let’s be honest. 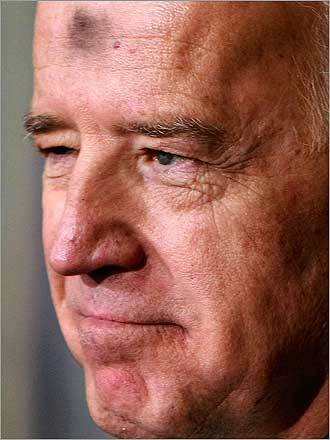 Biden’s receding hairline presents the perfect canvas. There are no golden locks standing in the way; no bangs to contend with. So I’m not sure what the problem was. Finally, as a reminder that RC’s are not the only ones who mark the first day of Lent with Ash Wednesday, a seminary classmate of mine, the Rev. Lane Hensley, had his picture in the “Ash Thursday” edition of the Chicago Tribune distributing ashes at a train station. You can read about his experiences here. Yes, it’s true. Bishop Cathy Roskam is coming to All Saints’ this Sunday to make an official visitation on behalf of the Diocese of New York. The 200+ parishes in the diocese get a bishop once every two years and we were due. Officially, she will meet with the Vestry, examine our parish register, and do Confirmations. But beyond the canonical duties, episcopal visitations remind us of our connection to something bigger than our individual congregations. While we live out our lives as disciples of the risen Christ in a particular parochial context, we are also part of something that transcends the bounds of the parish community. Namely: the Diocese of New York, the national Episcopal Church, the worldwide Anglican Communion, and the communion of saints that encompasses all the saints and angels and faithful departed who have ever walked the path of Jesus. While larger parishes (and there are a bunch of them in New York) tend to get bishops on big liturgical days like Pentecost and All Saints’, smaller congregations get them on lesser days like the 5th Sunday in Lent (this year) or the Sunday after Easter (two years ago). I’m not complaining since this makes intuitive sense but it’s harder to have a big celebration at the end of Lent (Woo hoo the bishop’s here! Let’s get penitential!). I’m lucky to have served in dioceses (Maryland and New York) with great bishops. Because, let’s face it, visitations have the potential to be pretty awkward. The rector plays host but it’s also a bit like having the boss to dinner — with the boss making the meal and helping to serve it. When I was in seminary in Chicago the Roman Catholic archbishop, Cardinal Francis George, had a lousy reputation among parish clergy. 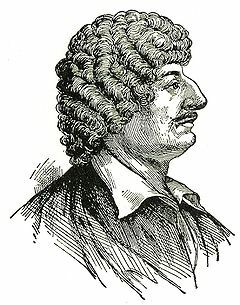 Granted he had to succeed the late and exceedingly popular Cardinal Joseph Bernardin. But he developed the nickname “Francis the Corrector” for his penchant to correct the smallest liturgical detail at the parishes he visited. I can’t imagine the clergy looked forward to his visits a whole lot. I am looking forward to an exciting Sunday morning and, anyway, I did get a break from writing a sermon this week.